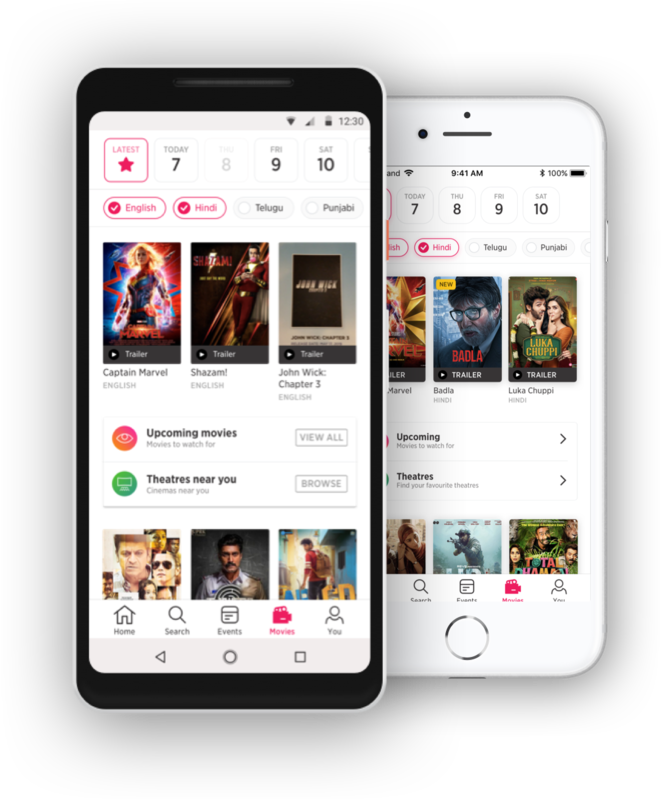 Your new movie ticket booking experience is here! Get ₹100 off your first booking, use code FIRST100. Trailers to tickets in one click. We’ve got a playlist of the latest trailers for you to browse through. Watch them one after another, non-stop. And when you like what you see, book movie tickets right there! We’ll always show, your kind of shows. Insider Assist puts the show timings for your nearest theatres first. Favourite the theatres you love, and they’ll always be at the top while booking your online cinema ticket. Win movie tickets every day! Play daily live online movies quiz shows and win rewards up to Rs. 10,000 in Insider Stash. Use this stash to book your next movie ticket.